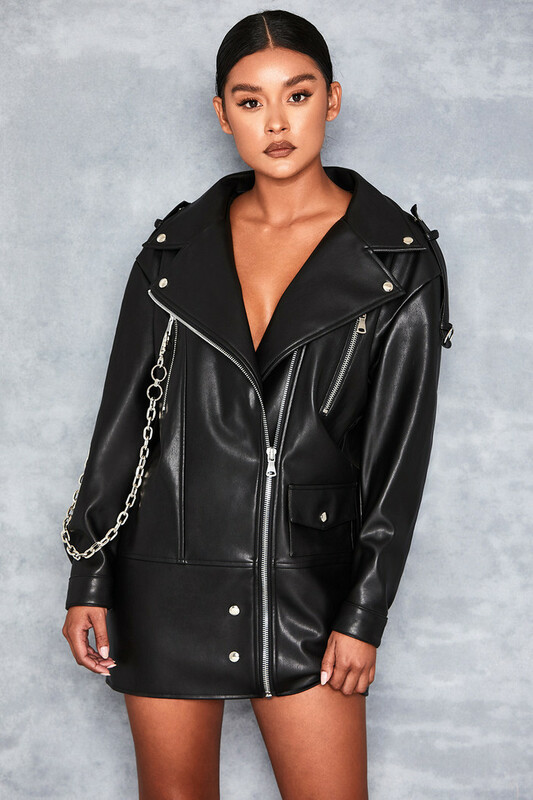 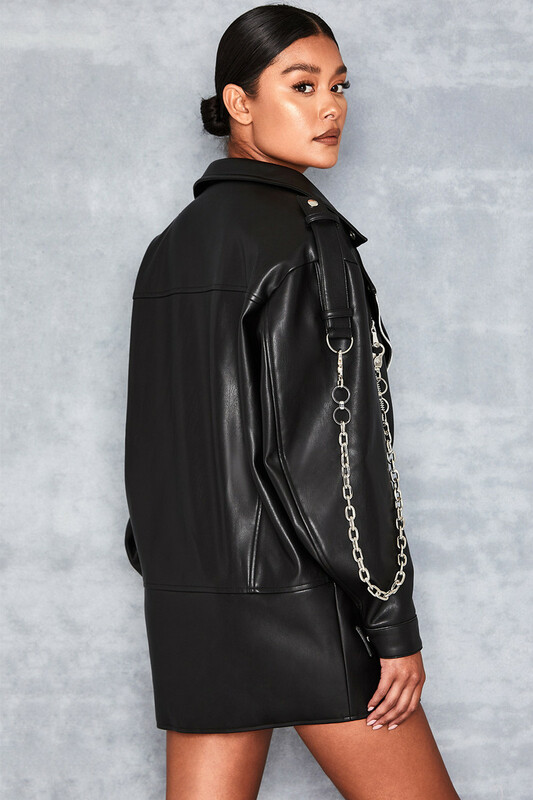 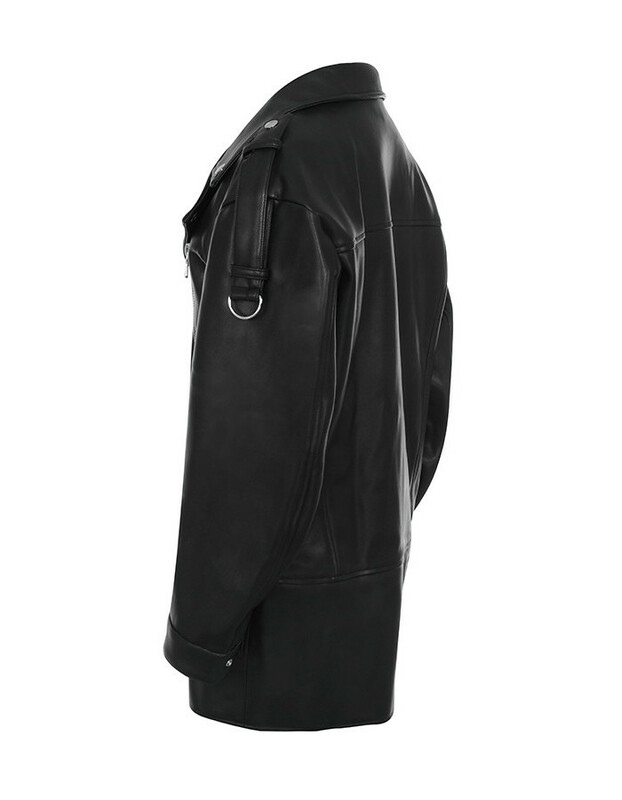 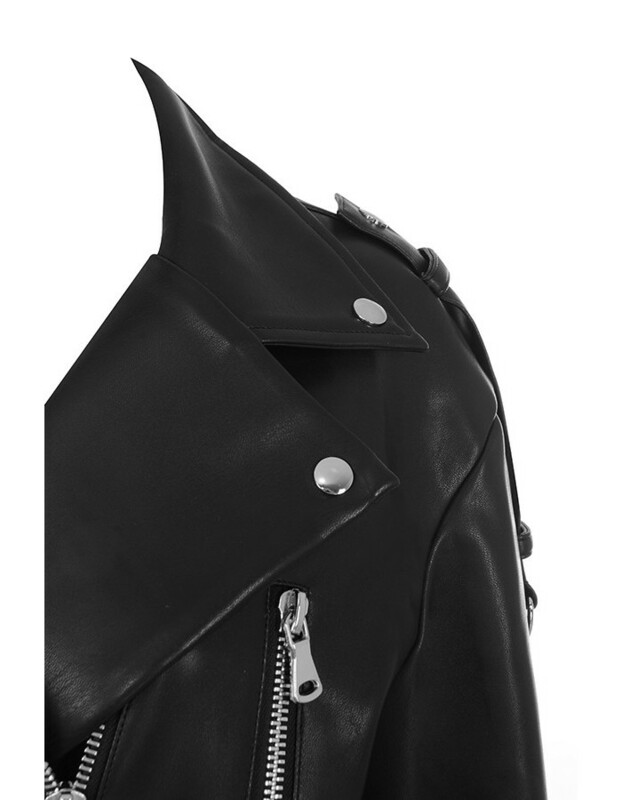 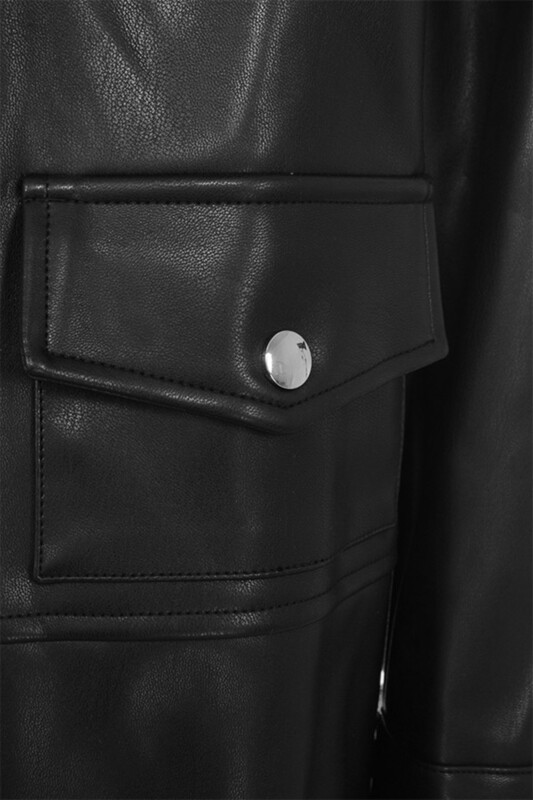 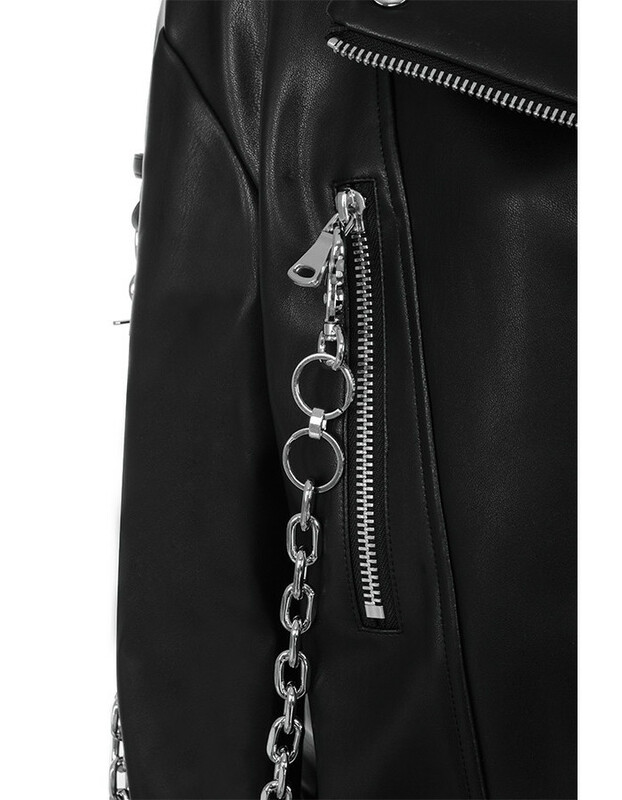 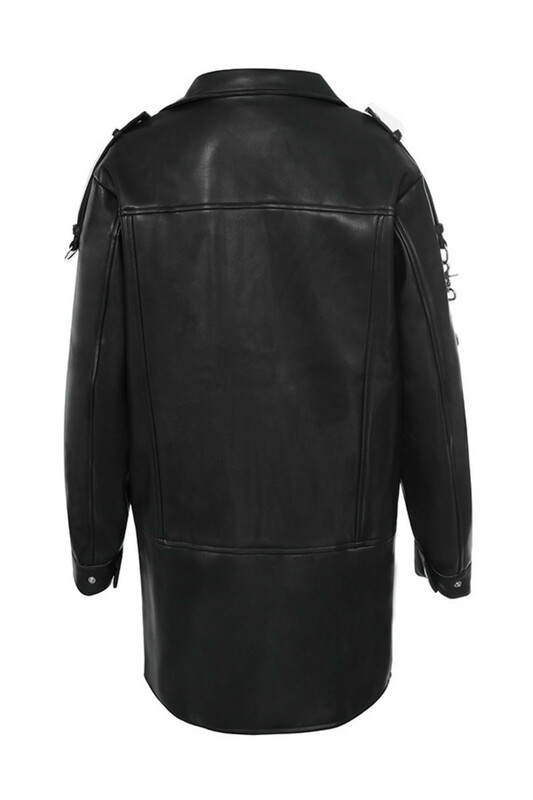 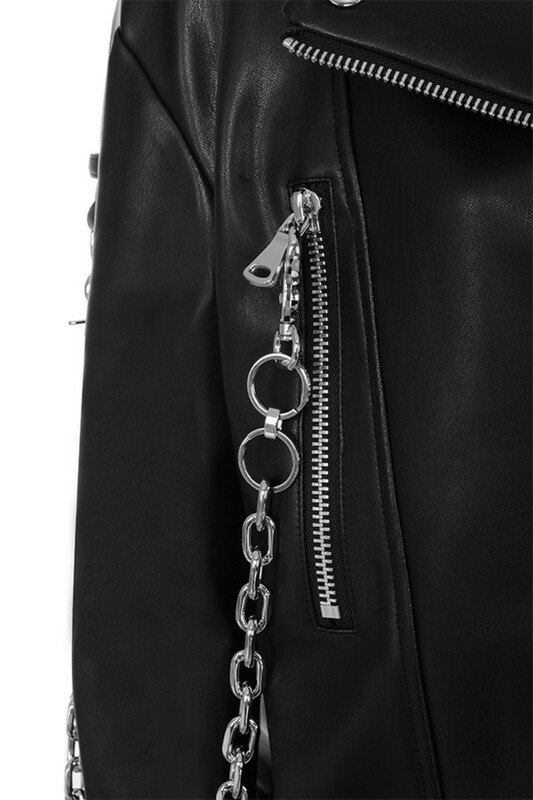 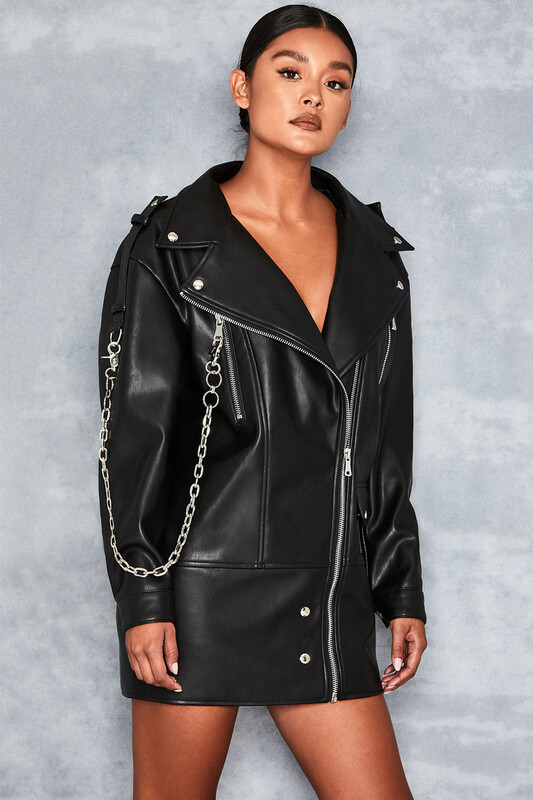 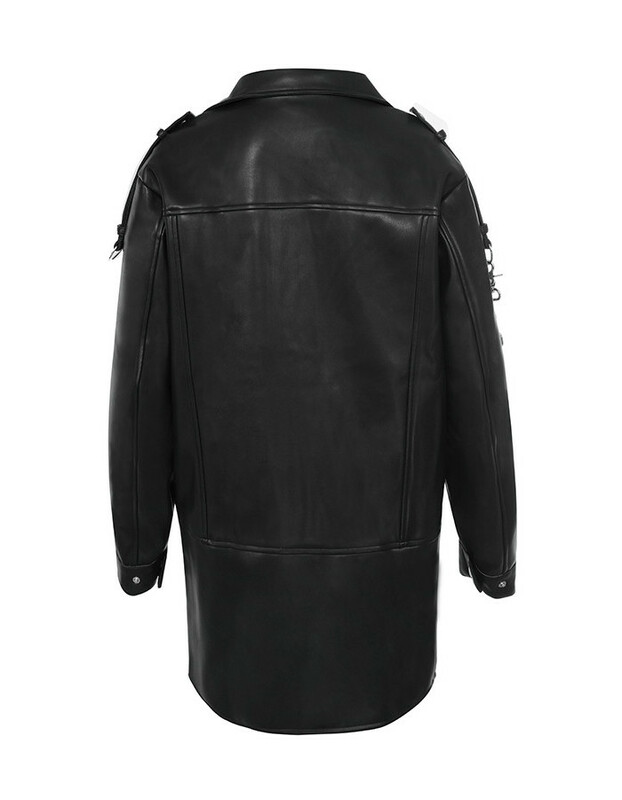 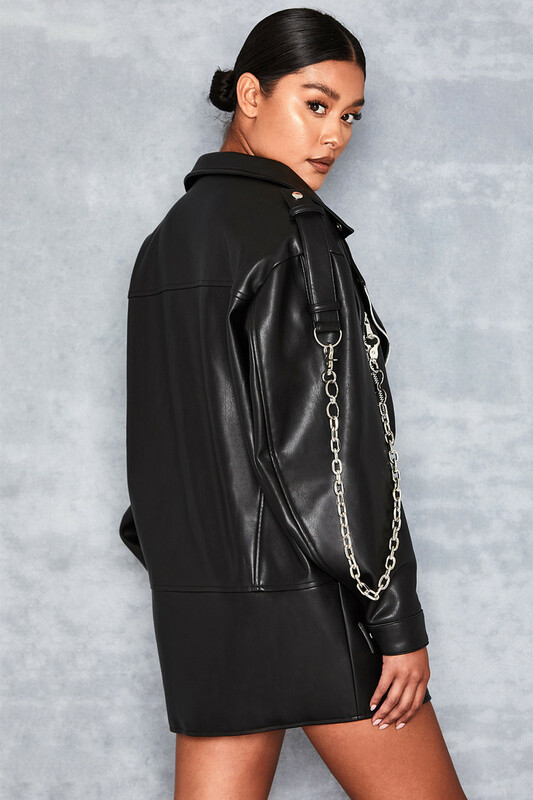 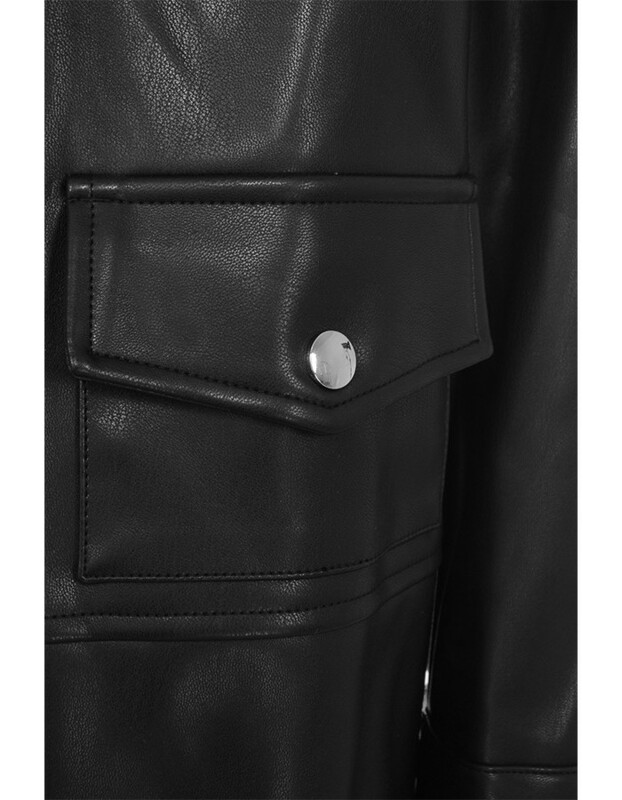 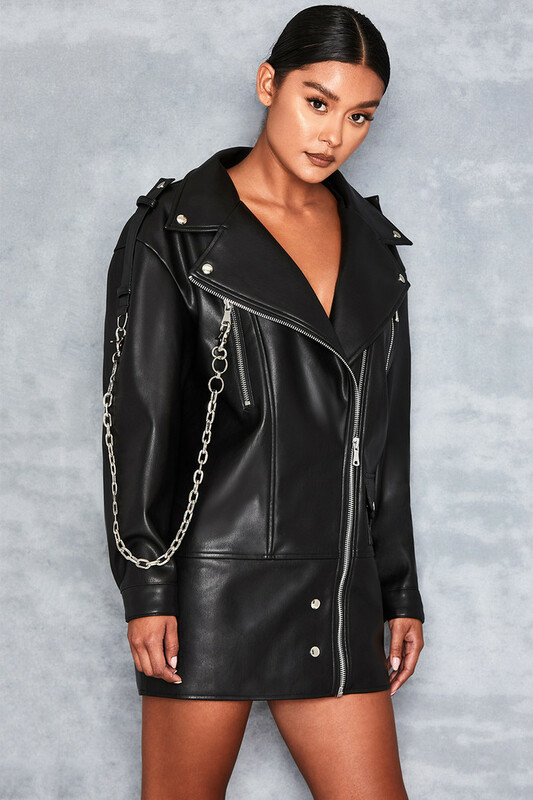 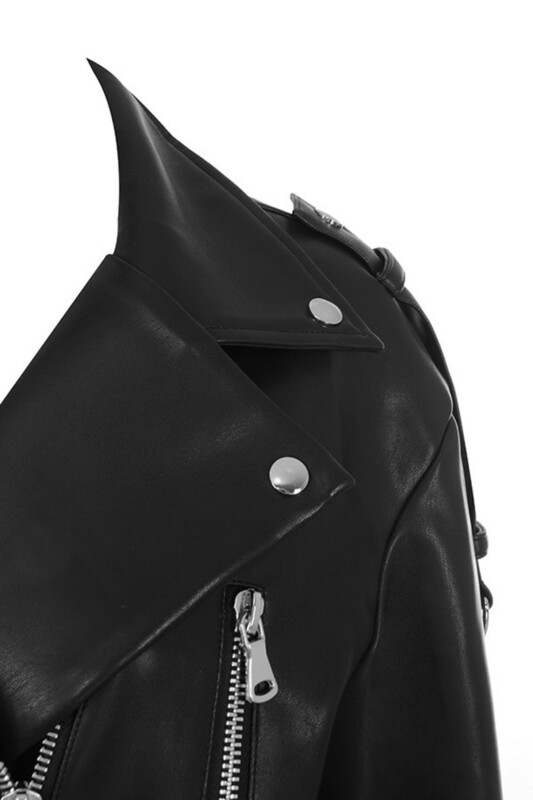 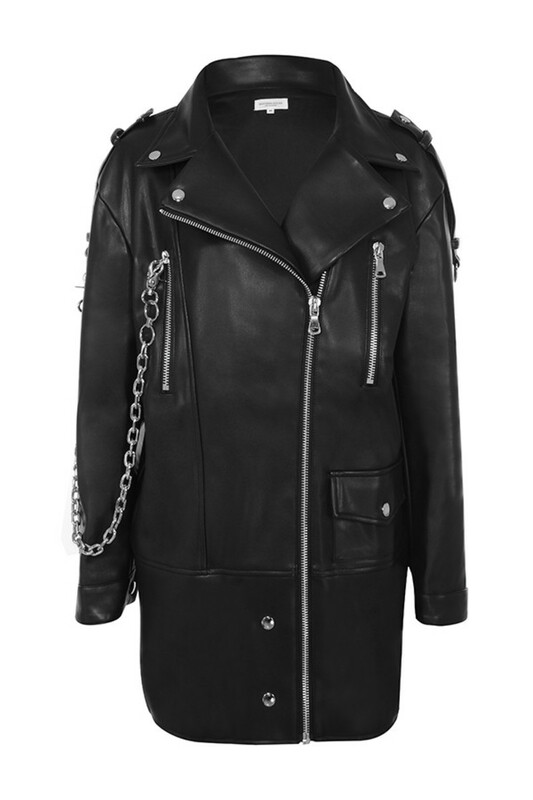 Crafted from the softest vegan leather, 'Acquire' features an oversized fit, zip thru front, stud detailing and an arm chain. 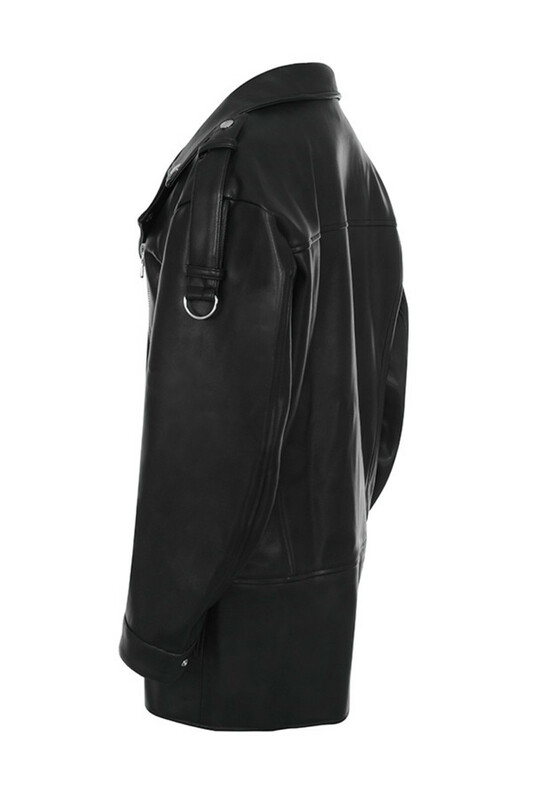 Fully lined for comfort and a great fit. 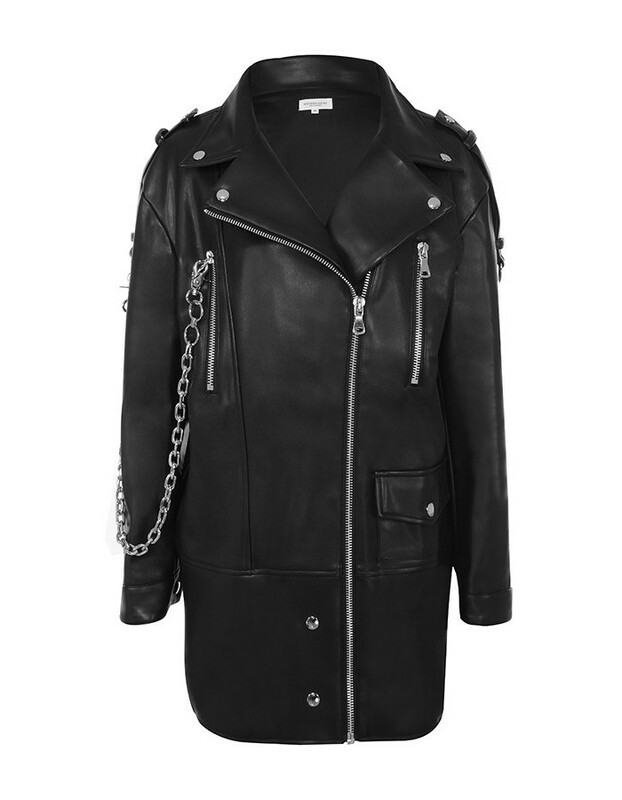 Wear yours as it is with just chunky work boots or layer over chunky Autumn knits.